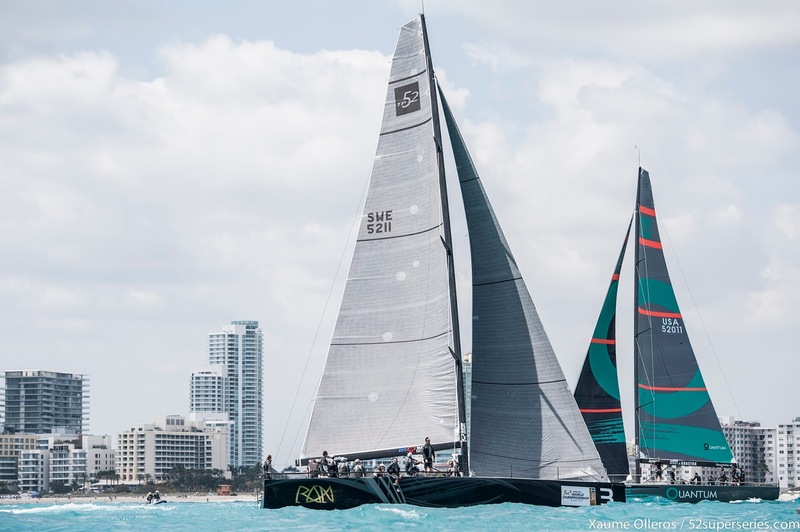 The strongest fleet of American 52’s yet assembled will compete at the second regatta of the two events which comprise the US 52 Super Series startingWednesday off Miami’s famous South Beach next week. Since Vesper, previously the 2008 build MedCup Quantum Racing, raced to fourth overall in Miami last year - just behind Quantum Racing - the boat has been far from idle, scoring class victories in every event she entered: Les Voiles de Saint Barth last April, New York YC's Annual Regatta in June, and the St Francis Big Boat Series in September. He confirms that Vesper will come to Europe for the first time: “After this event we're planning on continuing with the 52's in Capri, so this event will be important to help us learn about our competition."